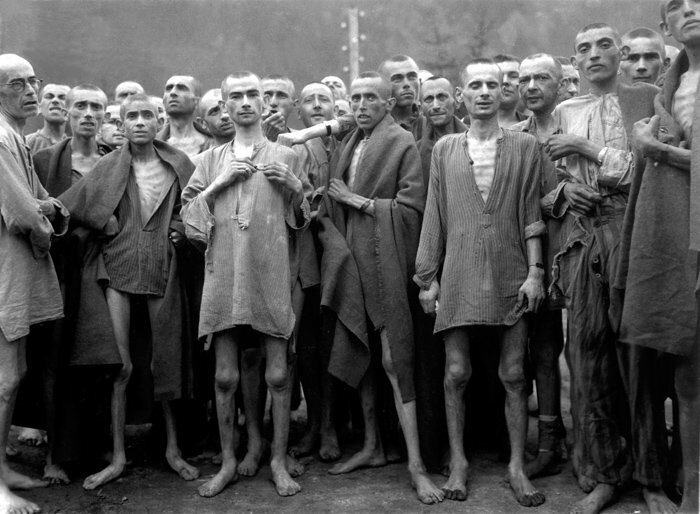 As reported by Newsweek, a recent survey conducted by the Conference on Jewish Material Claims Against Germany (Claims Conference) showed that one-third of all Americans think “substantially less” than 6 million Jews were murdered during the Holocaust. Some suggest the number is less than 4 million. 45% could not name a single concentration camp. 11% thought it was okay to share neo-Nazi views. On the bright side, 93% thought the Holocaust should be taught in schools and 96% believe that genocide was committed…despite, apparently, not knowing the scope of that genocide, where it was done, or how many were murdered. How do you respond to these numbers? What words of comfort can we offer to survivors who live in the United States and indeed, around the world? They went through hell, a hell beyond what most normal human beings could possibly imagine, only to have it forgotten or minimized in their own lifetimes? Gavriella died in Auschwitz. She was 12 years old. She was taken with her mother, her father, two sisters and at least one brother. Two brothers were murdered; her parents were murdered. And Gavriella was murdered. But 66% of millennials in the United States don’t know about where Gavriella died. They don’t know that she was put on a train, separated from her sisters by an SS doctor and told to stand with her mother. They don’t know that Gavriella’s mother, my husband’s grandmother, tried to push little Gavriella to her older sisters. They called to her to come to them, but the young girl wanted to stay with her mother. By the time they had convinced her, the Germans noticed her and ordered her back in line beside her mother. Maidanek remains, nearly in its entirety. If you want to understand what a concentration was, just go to Maidanek. You’ll see tens of thousands of shoes. And worse, you’ll see the ashes of tens of thousands of human beings. You’ll see the ashes, still in the ovens. And worse, you can walk into a gas chamber and see the scratches of those who tried to escape. Treblinka was almost completely destroyed. Nothing remains of the gas chambers there, the crematoria. If you go to Maidanek first, you can close your eyes in Treblinka and feel death there. And Chelmno bears testimony to the fact that the Germans learned, perfected the “art” of murder and genocide. In Chelmno, they murdered people in trucks using the exhaust from the vehicle. It took them too long to murder and so they turned to more efficient ways – gas. To this day, the earth covers the bones and the ashes of those who died there and there is a special grave that holds bones that come to the surface from time to time. Why does it hurt that they can’t remember the name of even one concentration camp? Millennials love to use the internet. Does it not occur to them to simply search? Wikipedia says there were 67 concentration camps…well, sort of. Some are “only” labor camps, but even there many died. There is no test here, but not to remember even one? Does it matter that so many Americans don’t know that 6 million were murdered? If they think “only” four million were murdered, does it lessen the horrors? Perhaps it is less important for people to know the numbers (which were likely over 6 million rather than anything UNDER six million) than it is to know the individuals. In Judaism, we have the concept that if you save a single life, it is as if you have saved the entire world. As we sadly move into the final years in which first-hand testimonies are available, perhaps it is time to focus more on the individuals. Gavriella’s story lives on because each year, it is shared. It is the face of one child, one young girl. We have six million of these stories to tell, though many can never be told because whole families were wiped out. My family lost an estimated 300 people…all who stayed behind died at the hands of the Nazis or the Ukrainians. From my husband’s family come the most lasting stories…of the shoe store owned by my husband’s grandfather. Of how they hid the silver but it was discovered by the Nazis and stolen. Of Binyamin Elimelech who was murdered a short time after he married. Of my mother-in-law’s time in Auschwitz, what she endured, and how she survived. Ultimately, there are two lessons to come from this survey. The first is one I have believed for many years. 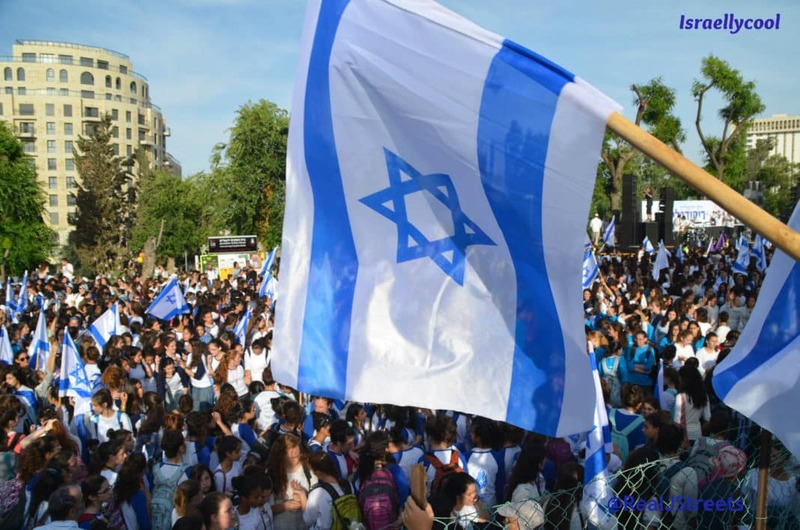 While 58% of Americans believe that the Holocaust (or something similar) could happen today, many Israelis know deep in their hearts that what will stop the next Holocaust, at least that which would be directed against Jews, is Israel itself. That is the first lesson – our strength will overcome their ignorance. And the second lesson is that as hard as we try, we will never succeed in teaching the magnitude of the Holocaust. We can count out 6 million paper clips, light 6 million candles. What matters more than the numbers are the stories. And so for those of us who have a story like Gavriella’s, we need to share it, hold on to it, remember it. They called her Elise, though her Yiddish name was Cirel. They put her in a gas chamber, but then pulled her out at the last minute. She lost her parents, two brothers and a sister. Her mother’s name she gave to her daughter. She gave the name of one of her brothers to her second son. I gave her other brother’s name to my oldest son. Perhaps the best way to balance the ignorance that becomes painfully obvious with such surveys is one person at a time…not one American at a time, but one victim at a time.